Vitamin C, mostly known for fighting colds and enhancing the immune system, may also be effective in preventing gout. Researchers recently found men who had the highest vitamin C intake from supplements and food were up to 45 percent less likely to develop gout than those who had the lowest. Vitamin C from Purmedica contains bioflavonoids that increase the action of vitamin C alone. Vitamin C can help prevent gout. Uric acid originates from the breakdown of purines. Purines are contained in your body’s tissues and are also found in many foods. Uric acid normally dissolves in the blood, passing through the kidneys and out of your body through the urine. High uric acid levels in the blood lead to hyperuricemia. All people with high uric acid levels do not develop gout. It is when the uric acid forms crystals in the blood stream that gout can result. · Your body increases the amount of uric acid it produces. · Your kidneys are unable to flush out enough uric acid. · You eat a large amount of foods high in purines. Other serious health risks linked to high uric acid include high blood pressure, diabetes, chronic kidney disease and cardiovascular disease..
· Vitamin C enhances uric acid excretion in the urine. Improving elimination of uric acid may be more important than reducing the body’s production of uric acid..
· Taking vitamin C as a dietary supplement for gout works best in a product containing added bioflavonoids. Also, make sure to take vitamin C twice daily because it is excreted quickly. · Men who receive excess vitamin C may increase their resistance to this painful joint disease. · Vitamin C appears to reduce levels of uric acid in the blood. 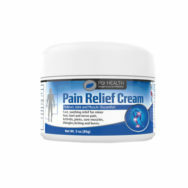 A buildup of this naturally occurring compound can form crystal deposits in and around joints, leading to the pain and swelling associated with gout. · Vitamin C acts as an antioxidant when taken in large doses (500 to 1000 but not more than 2000mg), which is associated with a lower risk of gout. There is a link between vitamin C and gout. Vitamin C is an essential nutrient that cannot be produced by the human body. The only way to obtain vitamin C is through diet and supplements. People with higher vitamin C consumption have a significantly lower risk of developing gout. Vitamin C is considered safe at doses below 2000 mg. Occasionally it can cause minor lower GI symptoms but this can be alleviated by adjusting the dose. We suggest that in addition to Urcinol, our primary treatment for gout, that you also take vitamin C to enhance the effectiveness. Always consult your health care provider if you have questions about how vitamin, mineral or herbal supplements affect your health. 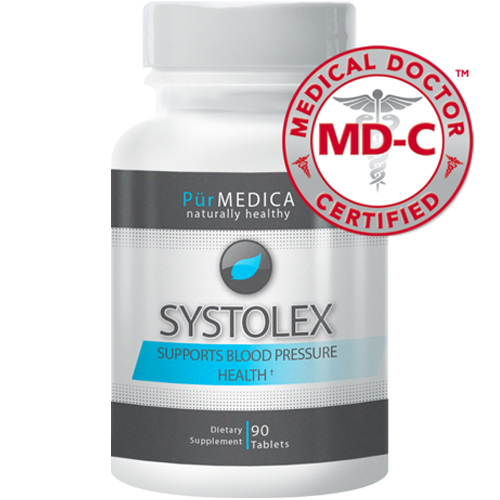 Systolex is a dietary supplement formulated to help provide daily nutritional support for a healthy blood pressure. The optimized and improved formula contains 7 natural ingredients combined to support a healthy heart. Is it safe to take if you are on regular blood pressure medication? © 2006-2015. PürMEDICA Nutritional Science. All rights reserved. *These statements have not been evaluated by the FDA. This product is not intended to diagnose, treat, cure, or prevent any disease. Information on this site is provided for informational purposes only. It is not meant to substitute for medical advice provided by your physician or other medical professional. You should not use the information contained herein for diagnosing or treating a health problem or disease, or prescribing medication. You should read carefully all product packaging and labels. If you have or suspect that you have a medical problem, promptly contact your physician or health care provider.